This is an excellent review by Janine Rizetti, make sure you check out her review of Dark Emu too. 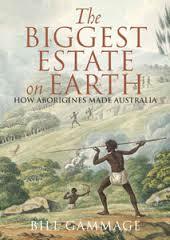 I was aware, while reading this book, that I was reading what could turn out to be one of the really big books in Australian history: a book that changes the received understanding of Australian settlement,eventually rippling out beyond historians to politicians and the media to finally become part of the way we see ourselves and our country. Maybe.